I have a lot of fantastic moments with Carla—you know you’re going to be in for some laughs when Carla is in the house!—however, my favorite moment has got to be getting to cook alongside her during The Chew. 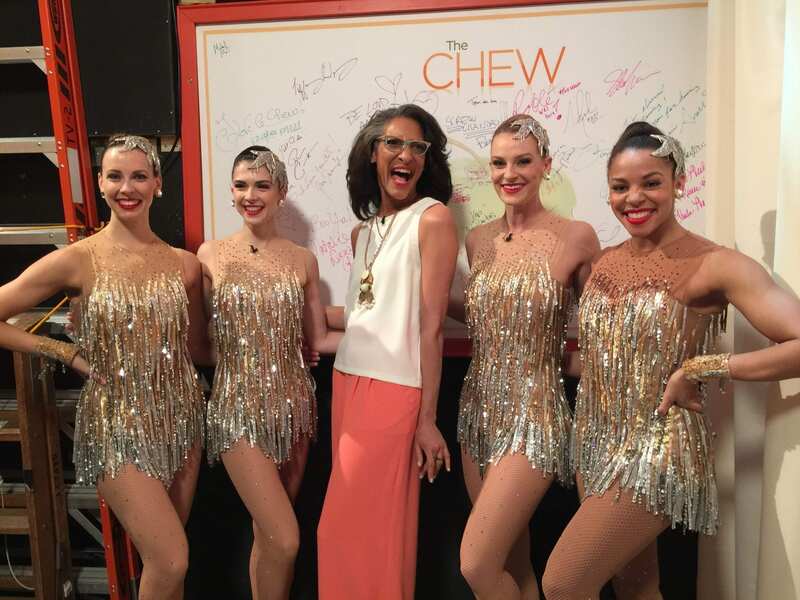 A few years back, a group of Rockettes appeared on The Chew to promote our show. I went into full spazz mode when I was fortunate enough to have this opportunity, and to say the least, it was one of the most unique things I’ve been able to do as a Rockette. Going to the set of The Chew is like going to see old friends. Everyone is so inviting and kind. When we arrived on set, all of the hosts and production team greeted us with hugs and warm baked sweets. When Carla saw us walk onto the set in our sparkling fringe costume, she instantly started shimmying and screaming! However, I have to admit I was a little nervous trying to keep up with those fantastic chefs on camera. I love to cook at home, but I was pretty sure that either my knife skills weren’t up to par or I’d flip or dip something too early. Thankfully, Carla guided me along the entire way, and by the end of it, not only were there giggles but we had made a pretty tasty grilled pineapple salad! Getting to cook with Carla was such a special treat! Her energy and enthusiasm shines through and within minutes, you feel you’ve made a new best friend. She has an admirable zest for life. Her great attitude and passion for what she does is infectious—qualities to live up to whether being a chef or a Rockette. 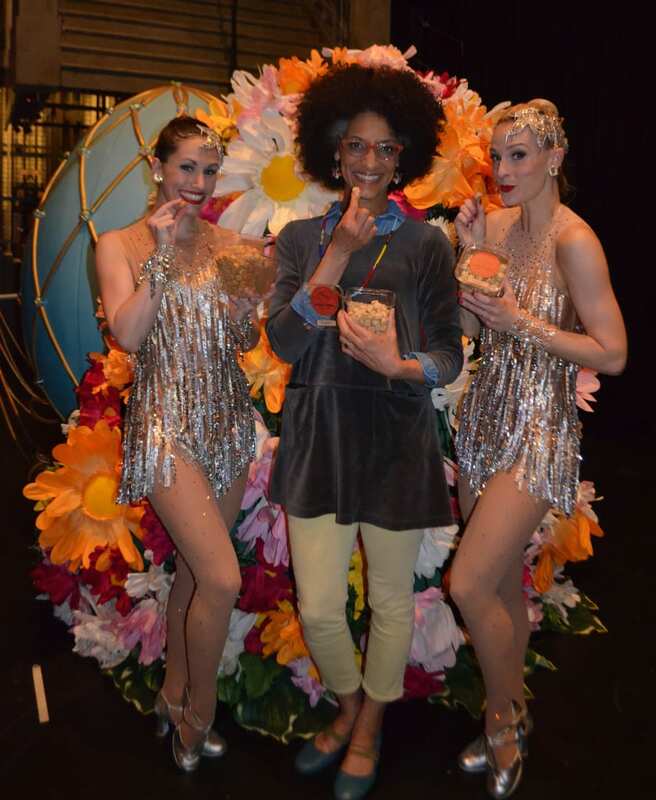 In fact, Carla would fit right in at Radio City! Carla, come kick with us anytime! We’ll swap cooking lessons for dancing lessons. Deal? Lindsay has been a Rockette since 2003. She currently resides in New York, NY.